Eastwood, Alice. A POPULAR FLORA OF DENVER, COLORADO. San Francisco: Zoe Publishing Company, May 1893; first edition. Original stiff tan covers with black print on front cover; 57 pages, plus one-page advertisement for publishing company at back; no illustrations; 3-page January 14, 1895 "Additions and Corrections" supplment laid in. Condition: near fine. "With the author's compliments" written on front flyleaf, along with small bookplate. There are 487 entries, classified, described, and located. Additions and Corrections were submitted by Professor George L. Cannon of East Denver High School, Professor E. Bethel of West Denver High School, and, Miss Evangeline Eaton of East Denver Schools. Stanton, Fred J., editor and compiler, Acting Secretary. 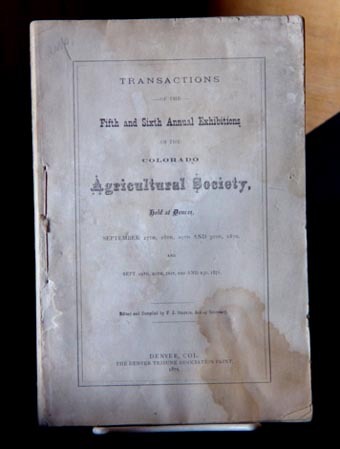 TRANSACTIONS OF THE FIFTH AND SIXTH ANNUAL EXHIBITIONS OF THE COLORADO AGRICULTURAL SOCIETY, Held at Denver, September 27th, 28th, 29th and 30th, 1870 and Sept. 19th, 20th, 21st, 22nd and 23rd, 1871. Denver, Col.: The Denver Tribune Association Print, 1872. Original wrappers are missing; 130 pages; no illustrations. 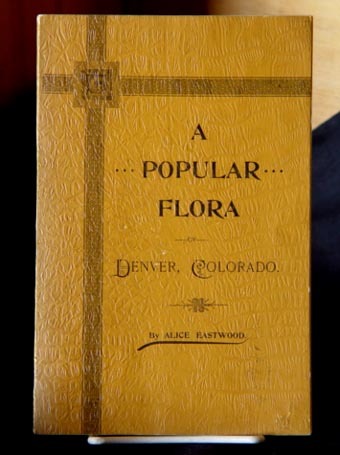 From Introductory: "The Colorado Agricultural Fair Grounds cover a square area of forty acres, surrounded by a grout wall eight feet high, eighteen inches thick at the base and twelve inches at the top. They are located on the eastern side of the City of Denver. On the north side are the machine shops and the Junction Railway Depot of three railroads -- the Denver Pacific, the Kansas Pacific and the Colorado Central Railway ...." This book details the Colorado Territorial laws that incorporated the Colorado Territorial Agricultural Society; the Constitution of this institution; and, the history. 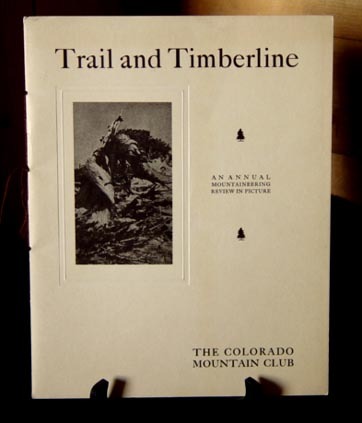 Report concerns itself with agriculture around the Colorado Territory; details exhibitions; regulations; awards; attendees; and other aspects of the organization. REGISTER OF THE OFFICERS AND STUDENTS OF THE STATE AGRICULTURAL COLLEGE, Fort Collins, Colorado. Courses of Study and General Information, 1892 - 1893. Fort Collins, Colo.: The Courier Printing & Publishing Co., 1893. Original printed cream wrappers; 74 pages; numerous half-tone photograph illustrations. Condition: very good plus, with some edge-wear and fraying at square-bound spine. Half-tone photographs of campus, buildings, and interior classrooms, as well as agriculture scenes. Details on courses, professors, and degrees. 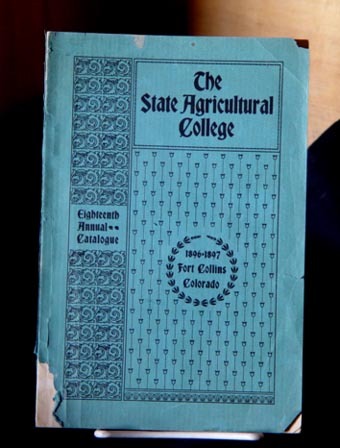 REGISTER OF THE OFFICERS AND STUDENTS OF THE STATE AGRICULTURAL COLLEGE, Fort Collins, Colorado. Courses of Study and General Information, 1896 - 1897. Published by The State Agricultural College, Fort Collins, Colorado, 1897. Original printed aqua wrappers; 115 pages, plus 21 half-tone plates at rear of publication. Condition: very good; square-bound binding and covers a bit frayed; however, interior pages clean and bright. Descriptions of courses, degrees, classrooms, equipment, buildings, experimental stations, and more. Also, lists of students, teachers, and graduates. Half-tone photographs detail campus, buildings, classrooms, library, auditorium, laboratories, military companies, museum, machine rooms, and more.